Most Israelis are not satisfied with the government and army’s response to recent rocket fire at the country from the Gaza Strip, surveys published Wednesday found, but Prime Minister Benjamin Netanyahu is the most popular candidate for leader even though his Likud party continues to trail behind the Blue and White party. An Army Radio poll found that 54 percent of Israelis are not satisfied with how Netanyahu confronted the rocket attacks, and of that group, 30% said they were very unsatisfied. By contrast, 35% said they were pleased with the response, which included airstrikes against dozens of Hamas terror group sites in the Gaza Strip. In another poll, by the Kan public broadcaster, 53% said the Israel Defense Forces response to rockets was too weak, 29% said it was proportional, and 3% said it was too strong. Israel holds the Hamas terror group, the de facto ruler of Gaza, responsible for all attacks from the territory. 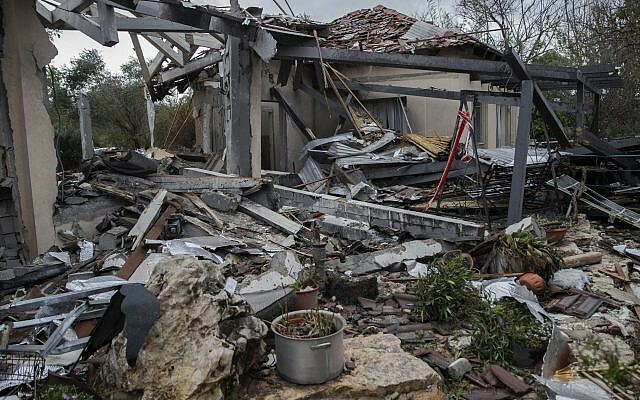 The past year has seen weekly rioting on the Israeli-Gazan border along with Palestinian rocket attacks on Israel and responding airstrikes by the IDF. Both online polls were concluded before another round of rocket fire took place late Tuesday night and early Wednesday morning. Kan said it had 545 respondents in the poll with a margin of error of 4.4%. Army Radio did not give details on its methodology. Army Radio also asked who was more suitable to become the next prime minister, Netanyahu or his main rival, ex-army chief Benny Gantz, who leads the Blue and White party. Netanyahu was the favorite with 45%, with Gantz trailing at 35%. The remainder said they didn’t know. The gap was much smaller when respondents were asked who would take better care of the country’s security needs, with 32% backing Netanyahu and 30% Gantz. Twenty percent said it made no difference. 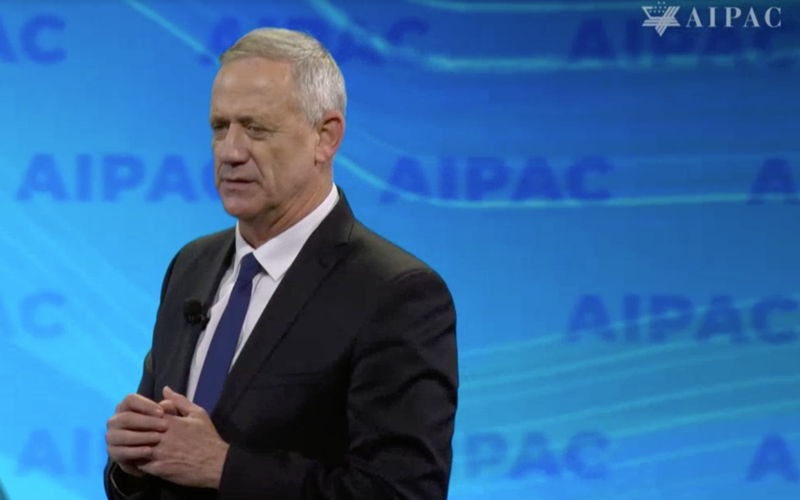 A Channel 13 TV poll last week put Gantz ahead by a hair with 42% versus 41% for Netanyahu. Those numbers were 36% and 38%, respectively, in a parallel Channel 12 TV news survey at the time. In the Kan survey Wednesday, 24% said Netanyahu had acted well in dealing with the recent security situation, 33% said his policies were not good, and the rest felt it was somewhere between the two. Asked who was better for the role of prime minister, 45% backed Netanyahu and 34% Gantz, Kan found. Israel does not have direct elections for prime minister, and voters choose only from among competing parties. Both polls Wednesday saw Blue and White becoming the biggest party in the Knesset if an election were held now, with 30 seats. Netanyahu’s Likud came in second with 28. 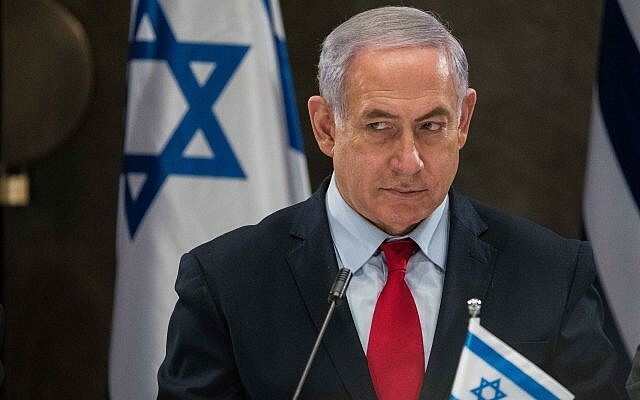 However, Netanyahu would still be better positioned to form a majority coalition, a situation which has been generally predicted since April 9 elections were announced in December. The third largest party would be Labor with 10 seats in the Army Radio survey and eight according to Kan.
Arab-Israeli party Hadash-Tal was next with eight seats according to Army Radiop, but only seven in the Kan poll. Going down the scale of predicted seats the polls continued to diverge on the expected success of various parties. Army Radio gave the United Torah Judaism party seven and its fellow ultra-Orthodox party Shas six seats. The New Right party, Meretz, and the Union of Right Wing Parties each took five seats in the poll. After them, with four seats each, came the Kulanu, Yisrael Beytenu, Zehut and Gesher parties. Another Arab-Israeli party, Ra’am-Balad, was predicted to not clear the Knesset threshold of 3.25%, equivalent to four seats in parliament. The results showed that a right-wing bloc, together with natural partners in the ultra-Orthodox parties, would hold 63 seats out of the Knesset total of 120, Army Radio found. The center, left and Arab parties totaled 57 seats. According to the Kan survey, UTJ, the New Right, and Hadash-Tal would each win seven seats, followed by Kulanu, Shas, Zehut with six seats apiece, then the URWP, Meretz and Balad-Ra’am with five each. Yisrael Beytenu, led by former defense minister Avidgor Liberman, was predicted to fail to clear the threshold for entry into the Knesset. The Kan survey was conducted by the Israel Internet Association and the Army Radio poll by Midgam. A Kan aggregation of polls conducted by various media outlets up until March 27 gave Blue and White 30 seats, Likud 28, Labor 8, UTJ 7, Hadash-Taal 7, New Right 7, Zehut 6, Shas 6, Kulanu 6, Ra’am-Balad 5, URWP 5, and Meretz 5. The aggregate showed Gesher and Yisrael Beytenu failing to enter the Knesset in the coming elections. Two rockets were launched overnight Tuesday toward the city of Ashkelon and an industrial park south of the city, with both intercepted by the Iron Dome missile defense system, the army said. No injuries or damage were reported. 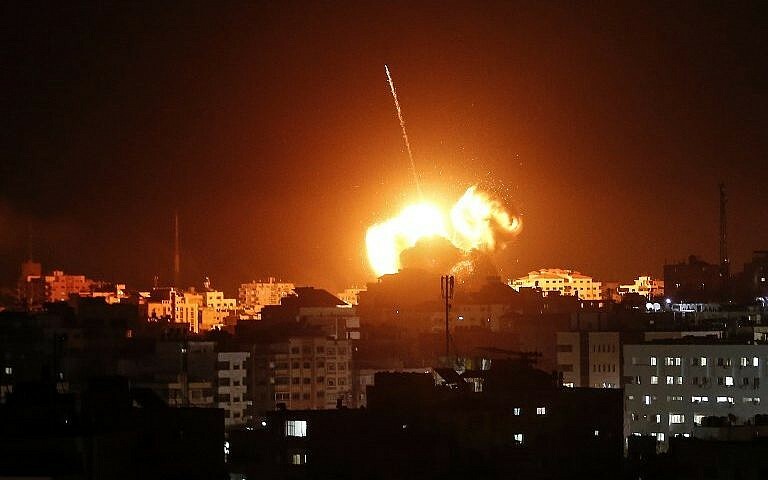 Israel responded with airstrikes in Gaza. The Tuesday night violence came amid an unofficial ceasefire between Israel and the Hamas terror group, following a large-scale flareup that began with a rocket fired from the Strip Monday morning that flattened a home in a farming community of central Israel, injuring seven people, including two small children. In response to the rocket strike, the Israeli military launched a series of airstrikes in the Gaza Strip, destroying dozens of targets including the office of Hamas chairman Ismail Haniyeh, who had earlier fled the building, and other locations that the military described as strategic assets for the terror group. 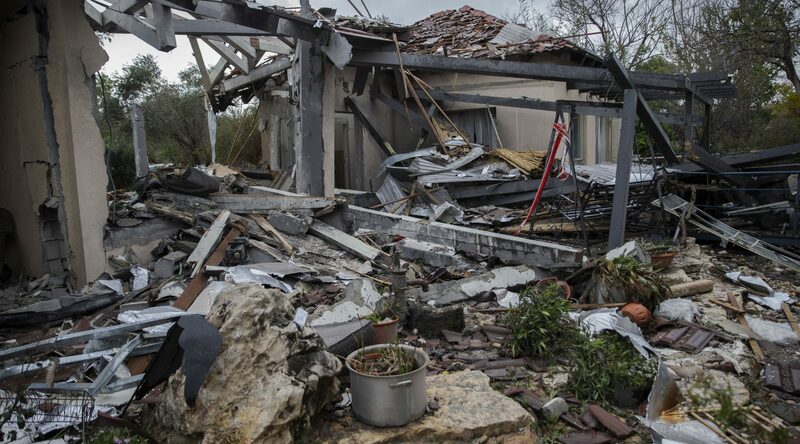 Throughout the Israeli bombing campaign, terrorists in the Strip launched at least 60 rockets and mortar shells at southern Israel, causing no injuries, but some damage to buildings in the southern town of Sderot.